Your Komodo National Park adventure with a private guide begins with pickup at Komodo Airport. Your 3-day tour includes overnight accommodations in an air-conditioned cabin aboard a private boat. With full board and complimentary transport by private vehicle and boat, all of your itinerary details are provided for. 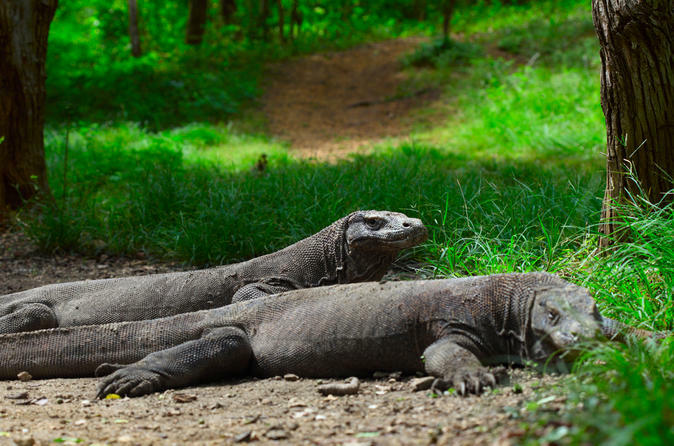 Just keep an eye out for those Komodo dragons! If you’re heading back to Denpasar, don’t forget to upgrade your tour to include a round-trip flight.